Hunting, Politics, and … Baseball? The classic 1888 poem “Casey at the Bat” by Ernest Lawrence Thayer made me think of important lessons for sportsmen who want to Protect What’s Right when we are under attack. The “mighty” Casey was the star player of the Mudville baseball team. With Mudville down big in the ninth he is their last hope to win the game and goes to bat with two outs. Casey’s so confident that he’ll have the game winning hit he just ignores the first two strikes, not even lifting the bat off of his shoulder. On the third pitch, his demeanor changes, he digs in, takes a mighty swing, and …strikes out. Too often, the sportsmen’s community, like the mighty Casey, will wait until strike two, or even after strike three, to react to anti-hunting legislation. Don’t wait for strike two, or strike three, to start protecting your rights, it could be too late. Get to know your elected officials and tell them you’re a hunter before there is an anti-hunting issue. You’ll be surprised how often they’ll think of you (or your sportsmen’s club) when a hunting issue comes up. Stay up-to-date on legislation. Read your local paper for stories about hunting. Join USSA and sign up to receive our legislative alerts. When there is a threat, get active early! Make calls to your legislators as soon as you find out about the bill. The legislation might be so outrageous you think it’ll never get anywhere. But don’t wait until a bill has picked up steam to get started. A lot of work on legislation is done behind closed doors in state capitals. By the time a hearing occurs it may already be too late. Get involved fighting anti-hunting legislation even if it isn’t a type of hunting you do yourself. Remember, the animal rights lobby usually attacks hunting one small segment at a time. One day it is bowhunting, followed by hunting with hounds, then trapping or youth involvement in hunting, and so on. 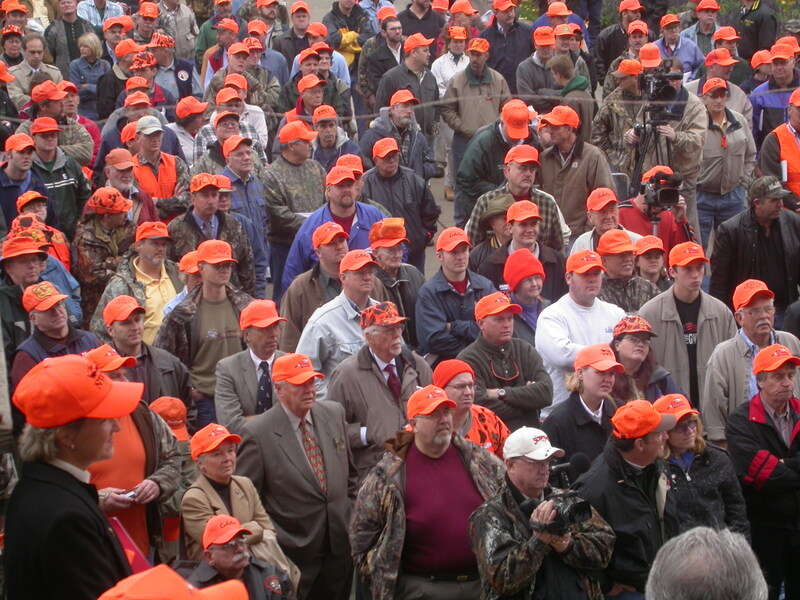 The sportsmen’s community is strongest when everyone works together to protect our rights. You’ll be protecting your type of hunting by defeating the anti’s before they get to your doorstep. The anti-hunting crowd isn’t sitting around for strike two. We can’t afford to either. What do you do to get to know your elected officials before an issue comes up? This entry was posted in Uncategorized and tagged blog, hunters rights, hunting, legislative, politics, protect what's right, PWR, right to hunt, sportsmen, U.S. Sportsmen’s Alliance, U.S. Sportsmen’s Alliance Foundation, wildlife. Jeremy, first things first and that is to get a pro-gun and pro-sportsmen official elected. And right now in House Disrict 90 in Montana, such a person is running but needs the vote of every sportsman and woman. His name is Ron Pifer. House District 90 is in the Stevensville, Florence area of western Montana. The sportsmen and women of HD90 need a stronger voice in our state capitol and he is the one to put there to speak up for us. He is pro-Constitution, pro-sportsman, and pro-life to name a few. So put somebody that believes in our country and constitution in office and vote RON PIFER for HOUSE DISTRICT 90.